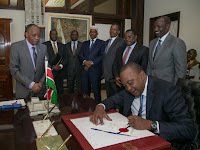 Tuesday September 11, 2018 - President Uhuru Kenyatta is expected to meet Treasury Cabinet Secretary, Henry Rotich, and Parliament’s leadership on Tuesday over the 16 percent fuel tax that has got Kenyans angry. Attorney General Paul Kihara Kariuki and Finance Committee Chairman, Joseph Limo, will also be at the State House meeting. 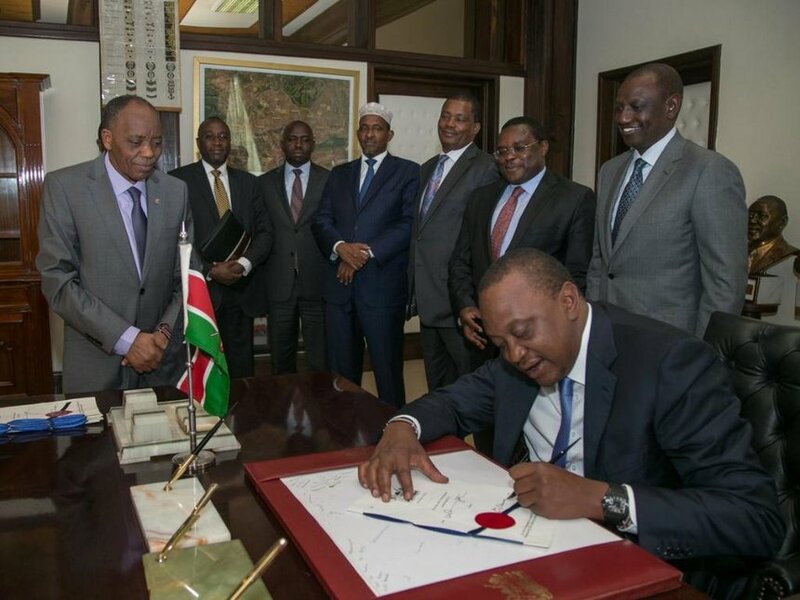 Uhuru is facing a tough balancing act to sign the amendments to the Finance Bill of 2018 that was passed by Parliament to suspend the tax for another 2 years or leave Kenyans to suffer and collect the billions he needs to pay off loans. The President jetted back into the country on Sunday after a 10-day trip overseas amid rising tension over fuel tax that has seen prices of virtually everything increase. Treasury Cabinet Secretary, Henry Rotich, defied public outcry and imposed the 16% VAT on petroleum products.